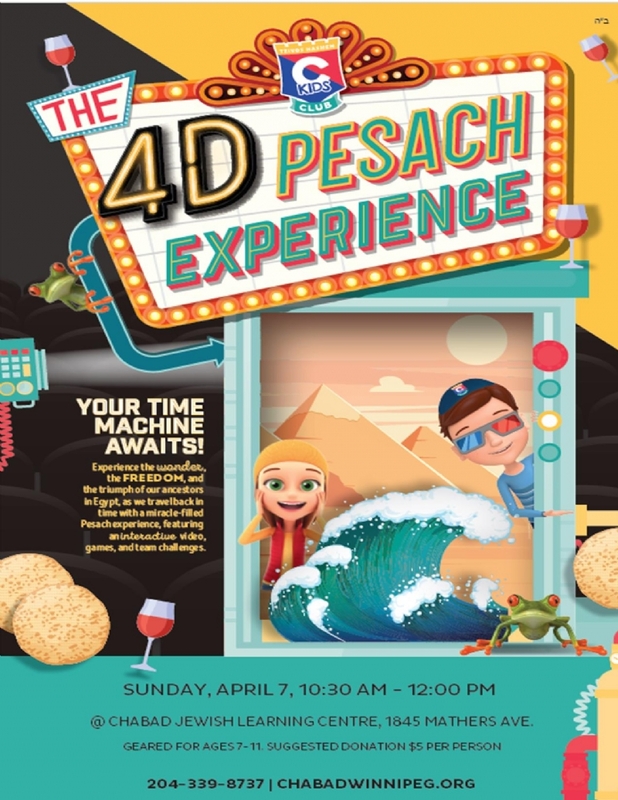 This year we’ll be hosting an activity for kids called the 4D Pesach Experience! Through the lens of 3D glasses, children will watch an interactive video called Exodus , transporting them through history to the time of the Jewish enslavemen t in Egypt. Participants will take part in mid - video games and activities. In addition, d uring the video, group supervisors will bring the story to life with special 4D effects (Don't worry - it will be fun and safe). To get your child involved, SIGN UP HERE! * Though all are welcome, this program is geared for children ages 7-11. * Please note that the Exodus movie will not feel the same as an IMAX experience. It is a 3D movie with special effects applied by supervisors.